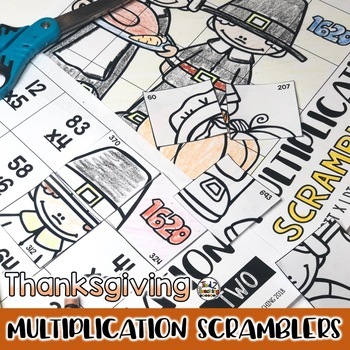 Thanksgiving Math Multiplication Math Scramblers are the perfect fun way to practice math facts and multiplication skills this November. 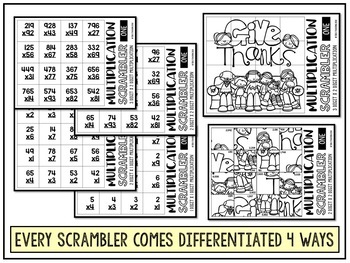 Each Multiplication Math Scrambler is differentiated 4 different ways to meet the diverse needs of your learners. 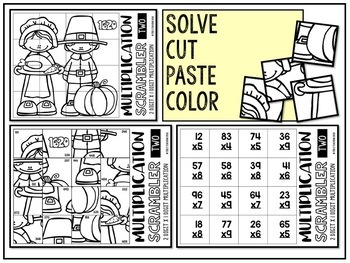 Included in this multiplication math puzzle set are three different Thanksgiving themed puzzles. 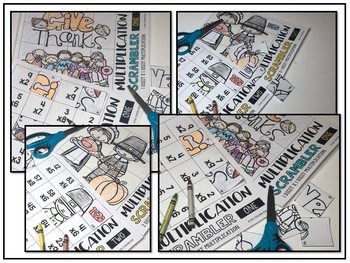 Each fun Thanksgiving math puzzle requires kids to solve multiplication problems to put together the mystery picture. Break out the crayons, colored pencils, glue sticks and kick you brain into overdrive as you have fun with these math scramblers.